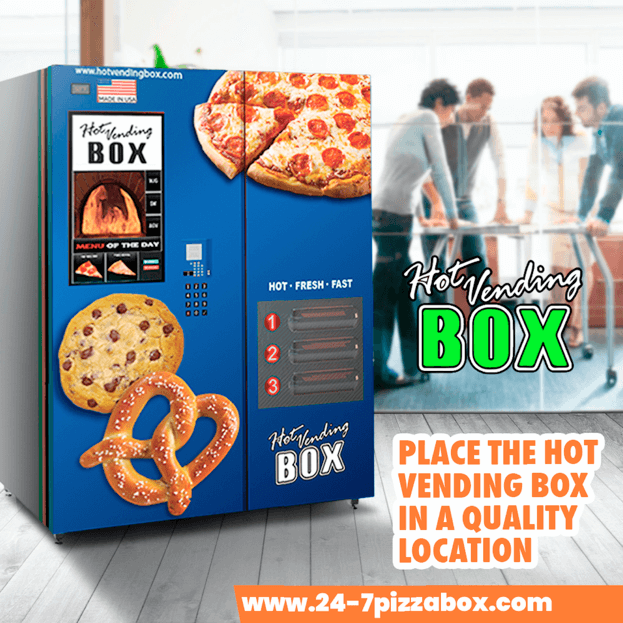 Explore our videos and articles to learn more about how this revolutionary pizza vending machine can deliver hot pizza while helping you to build your empire. Do you need a Hot Vending Box at your School? Colleges and universities are ideal locations for vending machines and most students love pizza. Some students can’t leave campus or simply don’t want to, so having vending machines to satisfy their late-night cravings is a must. Providing hot pizza-by-the-slice, hot cookies, and/or pretzels instead of the typical candy bar and chips is a hit on campus. Are you ready for a Hot Vending Box at your school? 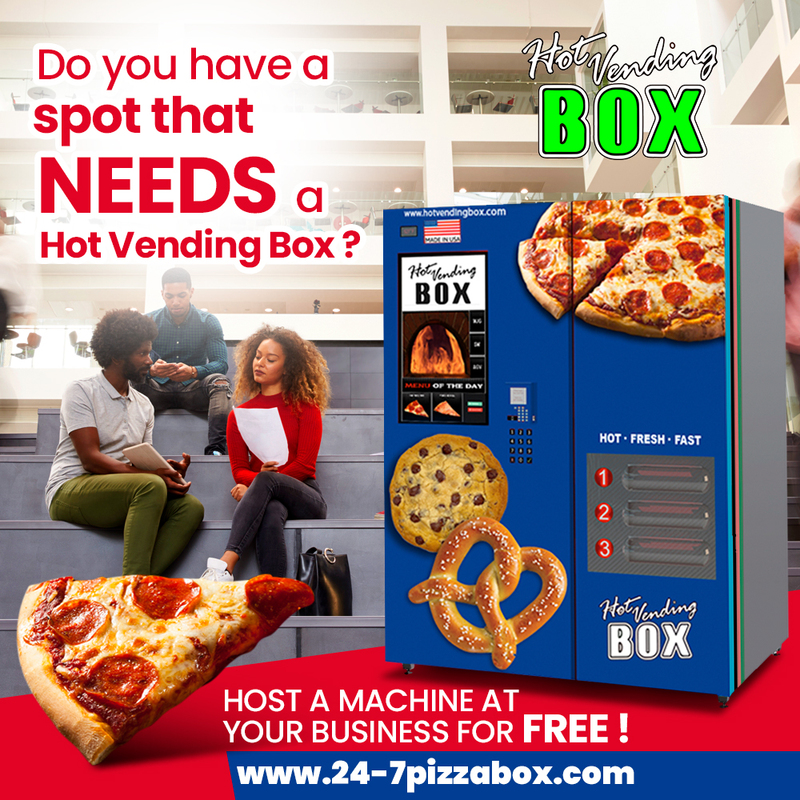 Contact us at (941) 328-8303 or email us at information@24-7pizzabox.com for more information about how to get a Hot Vending Box placed at your school for Free! *This opportunity is for locations from Tampa to Sarasota to Fort Myers. You’d be hard-pressed to find someone that doesn’t enjoy a good slice of pizza. Virtually, everyone loves pizza and having access to it at all times has the potential to increase office morale. For years, pizza has been one of the most common incentives in the workplace. Bosses constantly promise delicious food to employees for a job well done. But now there’s no more waiting until the end of the week for an office pizza party. 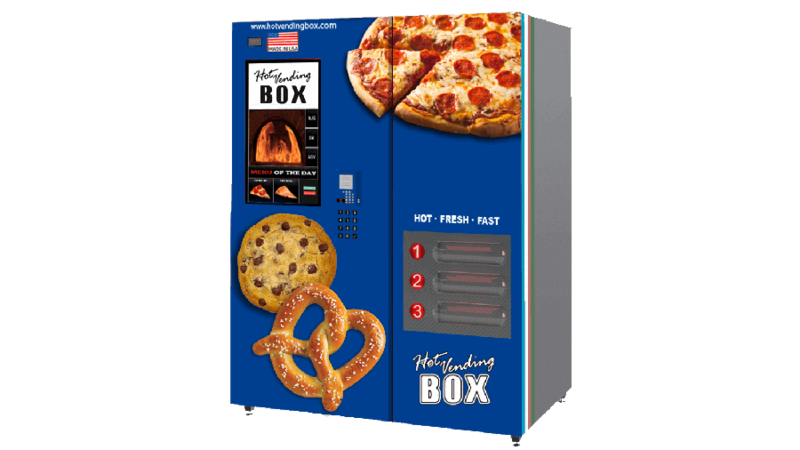 With a Hot Vending Box pizza vending machine, employees can get piping hot pizza whenever they want! And it certainly doesn’t hurt that the scent of freshly made pizza is one of the best scents out there. 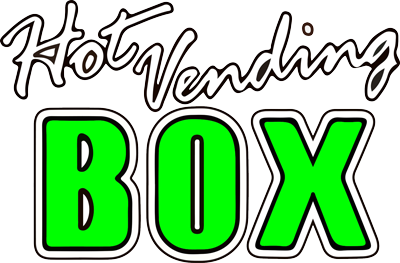 Do you have a work location that needs the Hot Vending Box? Drop us a line at (941) 328-8303 and you could get one FOR FREE (REALLY! ).